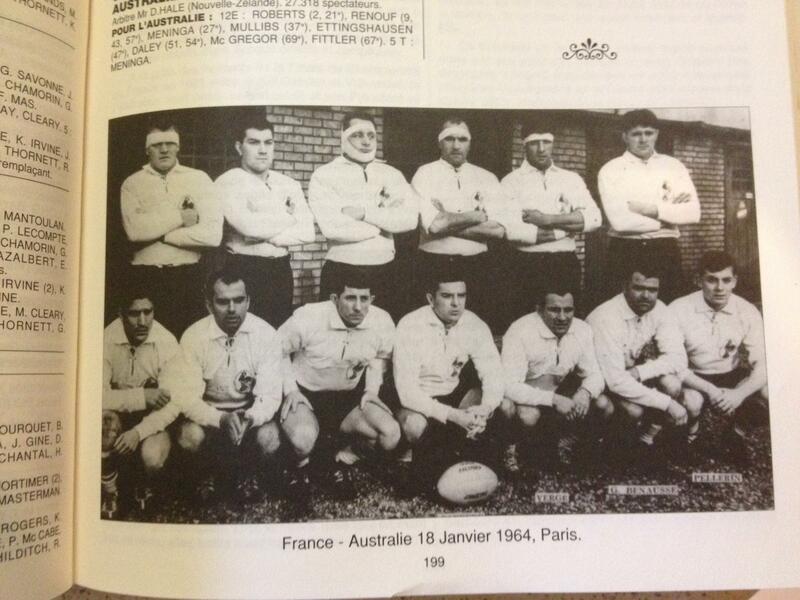 Halfback, Barry Muir scored two tries in the Kangaroos’ 16-8 win over France in Paris to clinch the Test series 2-1. France had won the First Test 8-5 in Bordeaux and when the Kangaroos were also beaten by regional side, Catalans 15-11, the home nation had every reason to believe it was to be their series. But Australia levelled things with a 21-9 win in Toulouse in late December and by January 18 when they travelled north to Paris, nothing was going to get in their way. France may have been better served if they had played the decider in league heartland in the south west of the country, but officials were keen to propagate the game in the capital. The closeness of the series had Australian officials salivating at the prospect of France’s tour down under in mid-64, but the French failed to win a Test in Australia for the first time since their inaugural visit in 1951. There were a number of key withdrawals from the ’64 tour, one of the most notable dual international, Jean Barthe who played lock in the Paris Test. This is a really cool historical piece. I have a literary blog, so I’m really interested in posts like this. Great info.